We live in a 3D world. This is not new – it has been the case since the creation of the earth. The X-Y-Z axes have been a foundational part of our understandings of and approach to mathematics, architecture, art – and air traffic control! While we’re surrounded by the reality of 3D, there have been limitations, however, to the ways in which we can represent our 3D view of the world. An artist may use the vanishing point in a painting to create the impression of 3D, but is still essentially working in 2D – you can’t see ‘behind’ the objects in the picture, for instance. Similarly, an air traffic controller has traditionally viewed his 3D view of the airspace above the control tower as a series of flashing dots on a 2D screen using x-y-z axes. What is changing now is our ability to represent 3D views of the world in more accurate 3D forms. 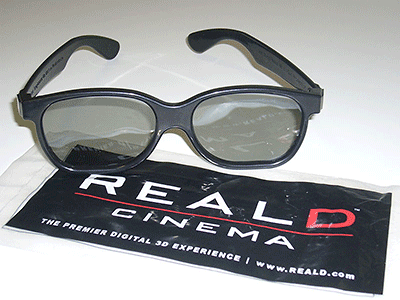 The emergence and advances made in 3D movies, albeit with special glasses, has become fashionable, and provides a good example of how we are now beginning to ‘think’ in 3D as we are viewing. Another example of how we are beginning to ‘think’ in 3D has its origins in many forms of games and puzzles that were around long before computers, but are now emerging in the ways we interact with objects on screen and in the virtual world. A program such as Trimble Sketchup (was Google Sketchup) brings tools to the user's fingertips that enable them to quickly and easily extend simple 2D objects into 3D objects, which in turn can be rotated and viewed from all angles – including the ability to enter ‘inside’ them. The web's ubiquitous Google supplies a range of 3D options that are becoming a part of every day life. Google Maps in Street View (or Satelite view), is now an "every day" option around the world. And Google Earth is developing its range of options to explore the Earth, the oceans, the moon, mars, and the galaxies. Google's new MapsGL (in beta, and it's offered if you're logged in), using WebGL technology is improving the experience so that transitions are smooth and realistic in Google Maps. This ability to engage with the 3D world requires the ability to think in 3D, i.e. to ‘see’ behind and through objects in our imaginations – and in reality – in the same ways that air traffic controllers have done for decades. Increasingly the technologies at our disposal are providing opportunities to create, visualise and represent our ideas in 3D. A further example can be seen in the development and use of 3D printers. Until just a few years ago these were the domain of very high-end manufacturers and research labs – but now you can buy them off the shelf from most electronics retailers. Schools are investing in them to enable students to take the 3D objects created in virtual environments and turn them into physical objects they can hold and use. Future scenarios for 3D printing include the ability to make purchases online, which are then ‘printed’ on your printer (as opposed to being physically shipped to your address.) Already this technology is expanding into areas beyond the solid objects we may think of, to combining with the biological sciences to ‘print’ human organs for transplant, or food that you can eat. 2012 may be the year of 3D printing, when this three-decade-old technology finally becomes accessible and even commonplace. For the last 12 years, Carter Emmart has been coordinating the efforts of scientists, artists and programmers to build a complete 3D visualization of our known universe. How thinking in 3D can improve math and science skills – All of us, children included, live in a three-dimensional universe—but too often parents and teachers act as if the physical world is as flat as a worksheet or the page of a book. Useful article from the NRICH project on the value of spacial awareness and 3D thinking – Behind, beside, in front, to the left, to the right are all important in the development of children's understanding of objects in three dimensions. As this world of 3D becomes more prevalent, we need to be thinking about the implications for what we are doing in our schools to encourage the ability to ‘think’ in 3D as a dimension of what it means to be literate in the 21st century. What priority do you give to providing 3D learning experiences for your students? What sorts of experiences could you provide right now… and into the future? What challenges does thinking in 3D raise in terms of assessment? How can these be resolved?